Look to R2J Chemical Services, Inc.
Is your cooling or heating equipment not operating efficiently? Have you detected leaks or corrosion in your potable water system? 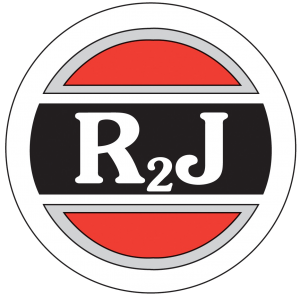 Since 1982, businesses in the Tampa Bay area and surrounding regions in Florida have relied on R2J Chemical Services, Inc. for the maintenance services required to address these issues and keep systems running properly. Through our turnkey water treatment services, we prevent common problems such as scale, corrosion, and bacterial growth, saving our clients money in utility costs and prolonging the lifespan of their equipment. We treat cooling towers, boilers, and potable water systems to prevent issues such as corrosion, scale formation, and excessive energy usage, keeping equipment running properly. Our green technology eliminates the need to apply liquid chemicals, providing a safer and more environmentally friendly approach to water treatment. In light of recent high-profile outbreaks, Legionella is a major concern for many businesses. We can assess your risk, perform any necessary treatment, and implement prevention measures to keep the occupants of your building safe. At R2J, we prioritize customer service above all else. In instances when you need immediate assistance, our team is ready to help. You can expect to receive a prompt response along with thorough service that ensures consistent results. We follow a proven process for collecting data, recommending water treatment strategies, and implementing any necessary treatment. With decades of experience and in-depth knowledge of the local water supply, our team will carefully assess your cooling, heating, or potable water system to identify any issues and recommend a water treatment plan that’s tailored for the makeup of the water used in your facility. From cleaning to calibrating and maintaining your equipment, we can handle all of the work that’s required to ensure optimal performance. After our work is done, we’ll provide you with a detailed report sharing our findings and documenting the treatments that we’ve applied. This way, you can easily stay up to date with the latest on your water treatment program without having to perform the work yourself. With R2J, you can rest assured that your systems are in good hands and are receiving the dedicated maintenance they require. R2J offers all of the water treatment solutions your business requires. Learn more about all we have to offer. We’ll perform all the work needed to maintain your systems, making the experience effortless for you. Our Certified Water Technologists have the knowledge needed to address any water treatment problems you face. We’ll tailor our products for your local water conditions to ensure the best possible results. © 2019 R2J Chemical Services, Inc | All rights reserved.